Supports 220 lbs. per caster. Four 5" hooded wheels with bumpers. Using casters reduces load capacity for the shelving unit. Helps make moving wire shelving easy with the caster kit for wire shelving. Snap-ring around stem makes for easy attachment. Four 5" hooded wheels with bumpers supports up to 220 lbs. each. Using casters reduces load capacity for the shelving unit. 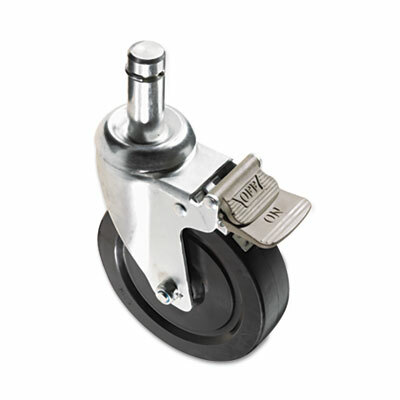 Caster/Glide/Wheel Type Four 5" Hooded Casters (2 Locking) with bumper.